Who else is completely obsessed with Taylor Swift's new song, Shake It Off? I have listened to it so many times, it's so addictive and upbeat! I can never be sad when it's playing, so a big thanks to Taylor for keeping me in a good mood these last couple of weeks ☺. 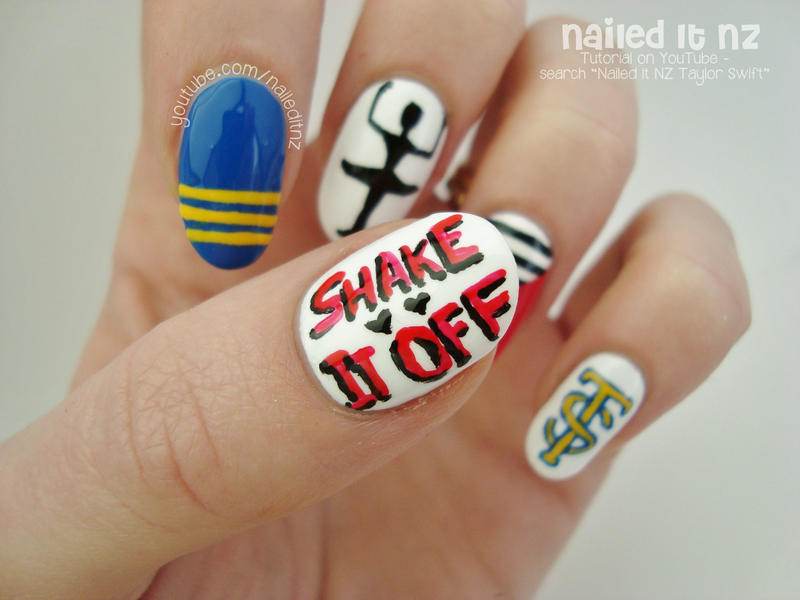 I figured such a good song needed some nail art to match! There are so many different scenes to gain inspiration from in the music video, so I had to narrow it down otherwise it'd look a little too crazy. 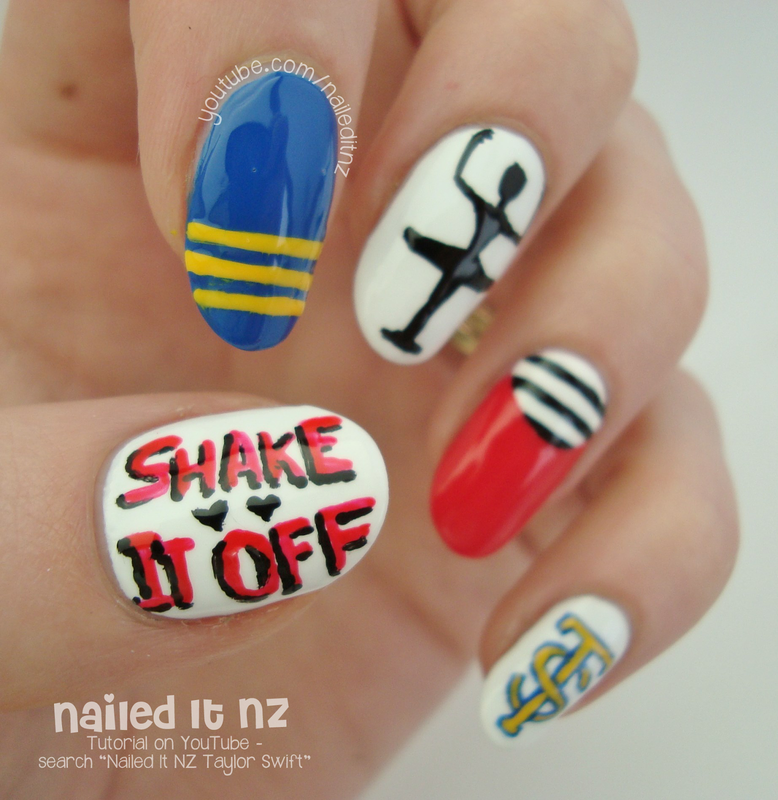 I ended up choosing the cheerleading outfit, the ballerinas, the '80's breakdancer look and the name of the song as my nail art inspiration. Here's what I came up with! Here's the tutorial for it - please subscribe to my channel if you're not already! This was a lot of fun to film - I put Taylor Swift music on in the background and it was just a really happy, girly time. I've had a few rather irritating things happen in my personal life lately (#firstworldproblems) and this song came around just when I needed it. It's crazy how much music can affect your mood! As you can see, on the index finger I painted a blue nail with three yellow stripes - this represented the cheer-leading skirt. 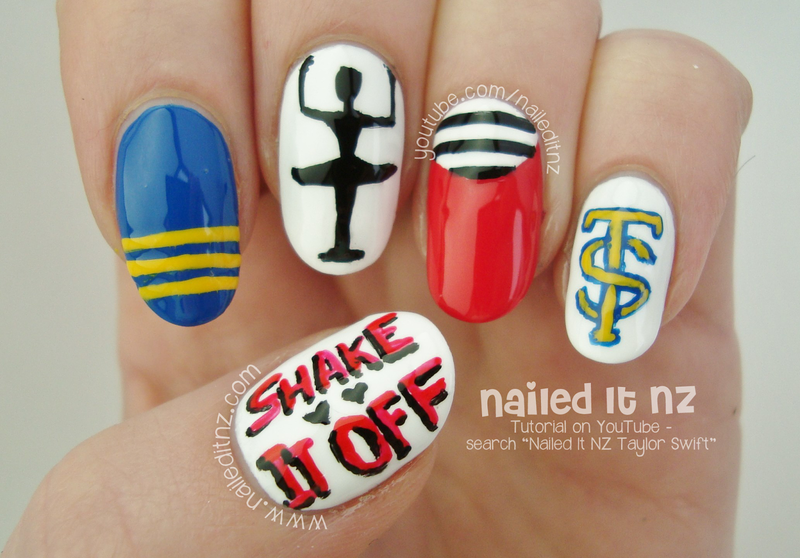 The middle fingernail is the silhouette of a ballerina, the ring finger has a black and white striped half moon on a red nail, and the pinky was the TS logo from the cheer-leading top. 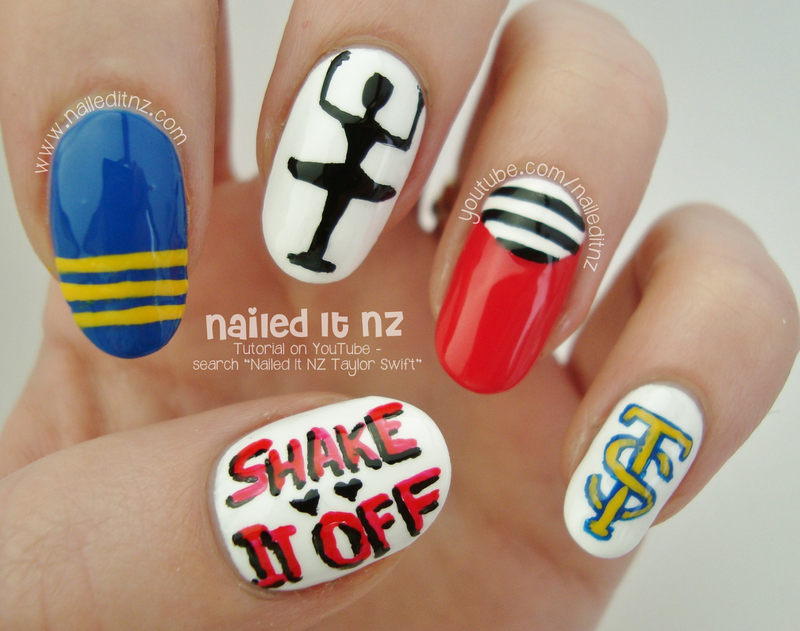 The thumb nail was simply the words, "Shake It Off." One last shot! 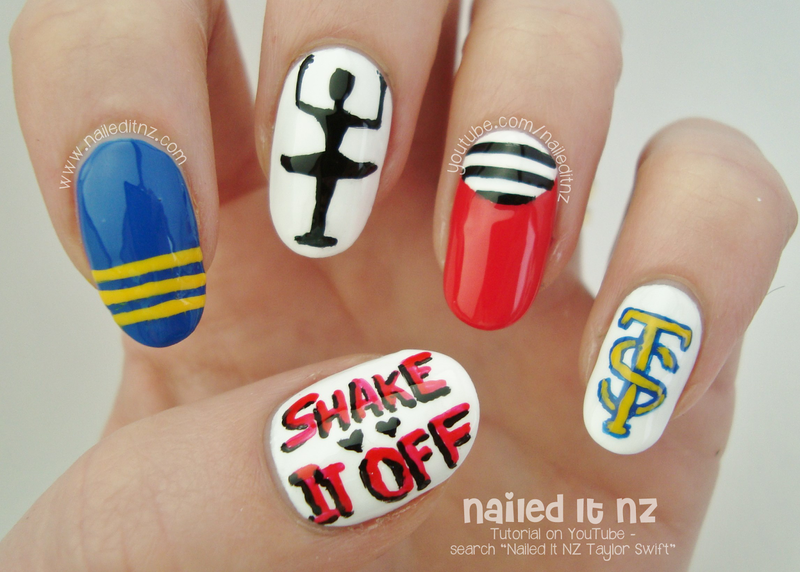 Hope you guys have fallen in love with Shake It Off as much as I have - if not, get to it! The next video that'll be up on my channel is the Ice Bucket challenge - my mum and sister joined in too and it all ended up being quite hilarious. Keep an eye out for it here!